Barry graduated from University College Dublin with a Bachelor of Commerce degree in 1987. 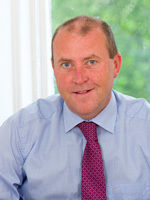 He completed his Chartered Accountancy training with Coyle and Coyle Chartered Accountants in 1991 and remained with them for a number of years. After a brief spell in industry Barry then established O’Leary Tucker in 1997. His expertise and attention to detail ensures the best professional service being delivered. 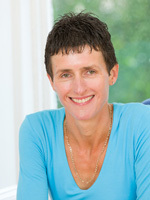 After finishing her Bachelor of Commerce degree in 1987 Orla then did the Diploma in Professional Accounting in University College Dublin. She completed her Chartered Accountancy training in Price Waterhouse . Orla then worked for a considerable time with Film Production companies and continued this through the establishment of O’Leary Tucker to today. She has extensive experience in this area. 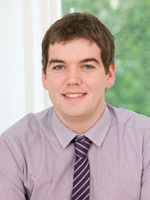 Feargal has been with O’Leary Tucker for over three years. 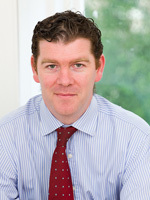 Having graduated from Trinity College with an honours degree in Bachelor of Business Studies he worked in the financial services sector for a number of years. The experience he gained from this has been a great asset to the company. Cathal has recently joined O’Leary Tucker having graduated from Dublin City University with an honours Bachelor’s Degree in Accounting and Finance. At university he specialised in Accounting and chose to study Advanced International Financial Accounting and Advanced Company Law.